Construction I wish.. (only for real and unreal) followed by Past Simple and Past Perfect. There are some Russian translation below the English sentences for Russian students of English. The present printable, downloadable handout is intended for business/professional students and high school students at Upper-intermediate (B2) and Advanced (C1) level. 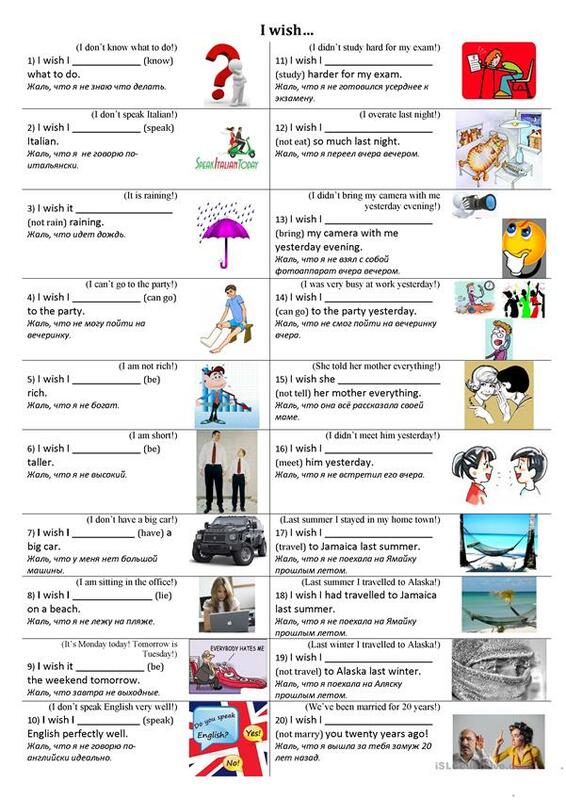 It is aimed at consolidating Conditional II (second) - would, Conditional III (third), Conditionals, Conditionals - I wish / If only and Subjunctive mood in English. The key is provided, too.